Aids dogs in maintaining normal healthy cartilage, connective tissue and joint mobility. Helps maintain synovial fluid that lubricates joints. Supports healthy bones and uses antioxidants to remove damaging free radicals. 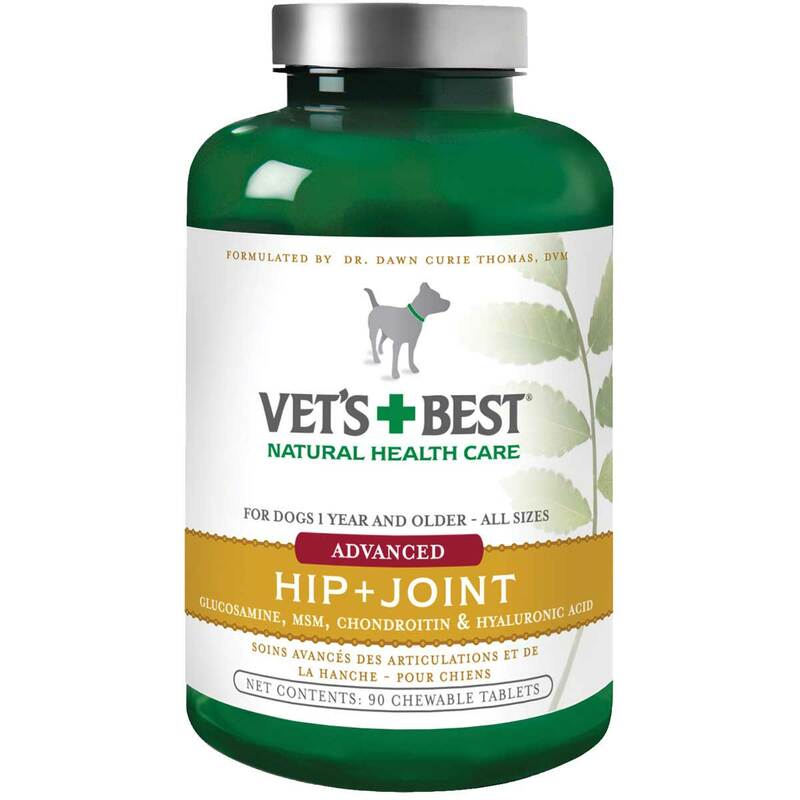 Ingredients Include: Glucosamine HCL 600mg, Chondroitin Sulfate 400mg, MSM 300mg, Vitamin C 100mg, Omega-3 100mg, Hyaluronic Acid 10mg, Manganese 5mg, Proprietary Joint Support Blend 170mg, Antioxidant Blend 375mg.